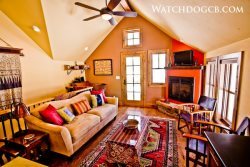 Watchdog Property Managements mountain vacation rentals offer superb living away from the hustle and bustle of downtown Crested Butte. Enjoy the picturesque scenery from one of these magnificent mountain homes and condos for rent. These properties range from 1 bedroom to 6 bedrooms, providing an abundance of options for you to choose from, whether you are traveling alone or with a group. Once you have chosen your rental property please contact us if would like more information. Welcome to the Axtel Ski Condo! Welcome to the Summit Ski House! Welcome to the Peachtree Condo! Welcome to the Phoenix Bowl Condo! Welcome to the Timbers Retreat!